Bio — C.E.M.P. Central Inc.
David H. Burrows Professor of Construction Engineering and Management Emeritus, Virginia Tech. Mike Vorster is the David H Burrows Professor Emeritus at Virginia Tech where he has taught in the Construction Engineering and Management Program since 1986. His teaching and research interests focus on construction equipment, estimating, cost engineering, and contract dispute resolution. He is a consultant to various companies in these areas and is the academic advisor to the Association of Construction Equipment Managers for whom he has presented a number of seminars and short courses focusing on the management of Construction Equipment. 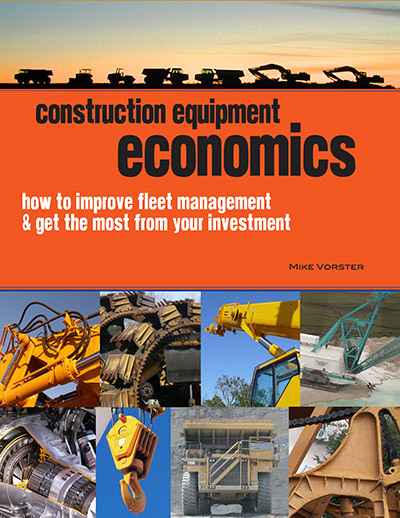 Mike is the author of close to 100 articles in Construction Equipment and of Construction Equipment Economics, a standard guide and reference text in equipment management. He leads in the design and presentation of the Construction Equipment Management Program. He is a member of the National Academy of Construction and the Virginia Tech Academy of Teaching Excellence. He holds a BS in Civil Engineering, an MBA from the University of Cape Town and a PhD from the University of Stellenbosch. He is the recipient of numerous awards including the State Council of Higher Education for Virginia Outstanding Faculty Award, the American Society of Civil Engineering Peurifoy Award for contributions to construction research and the South African Institute of Civil Engineers Basil Reid Gold Medal for contributions to construction. He is a Fellow of the South African Institution of Civil Engineers and is registered as a Professional Engineer in South Africa. Mike and his wife, Merle, live in Blacksburg. They are blessed with two sons, their families and five grandchildren.